The US Marshals Service (USMS) has begun to inform participating investors as to the official results of its 27th June auction of 30,000 confiscated Silk Road bitcoins, but major institutional investors are already calling the event an overall success. The comments come amid a near 7% increase in bitcoin price on the CoinDesk USD Bitcoin Price Index that industry leaders are crediting to rising interest in bitcoin stemming from the event. Alan Silbert, founder and CEO of online bitcoin luxury marketplace BitPremier, for example, took to Twitter to issue his belief that investors interested in the Silk Road auction may seek to buy bitcoin regardless of the outcome. The news followed the USMS’ informational release earlier in the day, when it revealed to CoinDesk that 45 bidders had participated in the auction and that 63 total bids were received. Positive post-auction sentiment was confirmed by Dan Moorehead, CEO of Pantera Capital, who indicated the auction has so far succeeded at increasing awareness of its investment products. Pantera was one of a number of confirmed bidders in the auction including Binary Financial, Bitcoin Shop, Circle, Pantera Capital and SecondMarket. 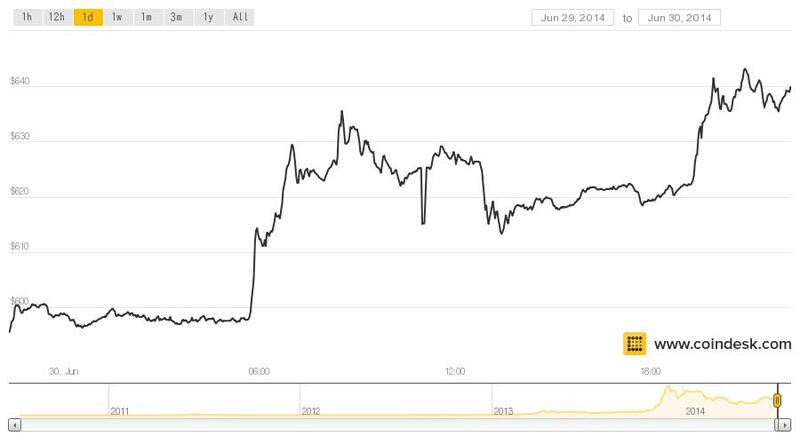 At press time, the price of bitcoin had increased nearly $50 over the course of the day, rising from an opening price of $598.60 to a high of $643.29 before settling back below this level. A look at recent price data shows bitcoin prices have been trending upwards, since hitting a low following the news that the USMS would sell the assets, then valued at roughly $18m. 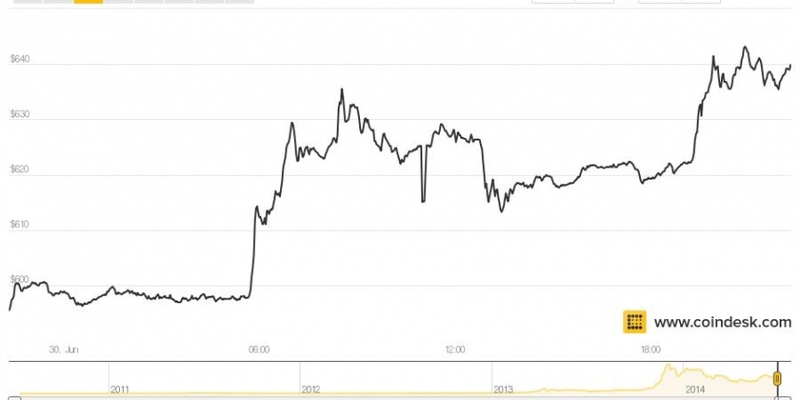 A similar price increase was seen on the CoinDesk CNY Bitcoin Price Index, which rose 6% for the day’s trading. As early as this afternoon, certain bidders began releasing statements regarding auction results on Twitter. Perhaps most surprising was the initial tweet from SecondMarket and Bitcoin Investment Trust (BIT) CEO Barry Silbert, indicated that his syndicate, which sought to open up the auction to smaller investors, did not receive any blocks from the auction. The development was seen as a boon for bitcoin by such publications as Reuters and The Wall Street Journal, both of which cited SecondMarket’s results as evidence of increased interest in bitcoin among investors.